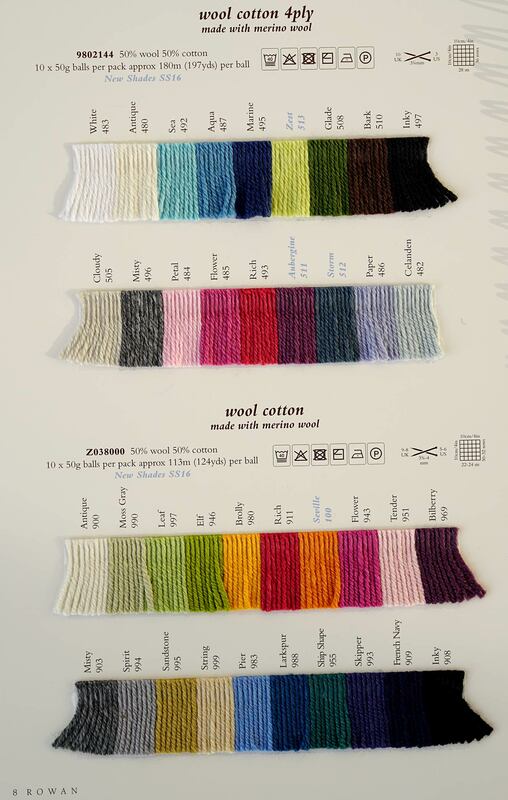 Yarn Type A wonderfully soft blend of 50% Merino Wool & 50% Cotton. Hand wash cold. A collection of seven designs for little ones, designed by Martin Storey using our wonderful soft blend yarn Wool Cotton 4ply. Designs include a classic hooded sweater, buttoned waistcoat and tank top and a long line cardigan with a pretty daffodil motif. With designs for girls & boys from birth to 2 years. You can purchase the patterns individually at £3 each, or buy all 7 patterns as an entire collection here for £9. We're seeing denim everywhere at the moment, both on the high street and on the catwalk. This collection is Rowan's interpretation and what to wear with your denim favourites using Wool Cotton 4ply. By Lisa Richardson.